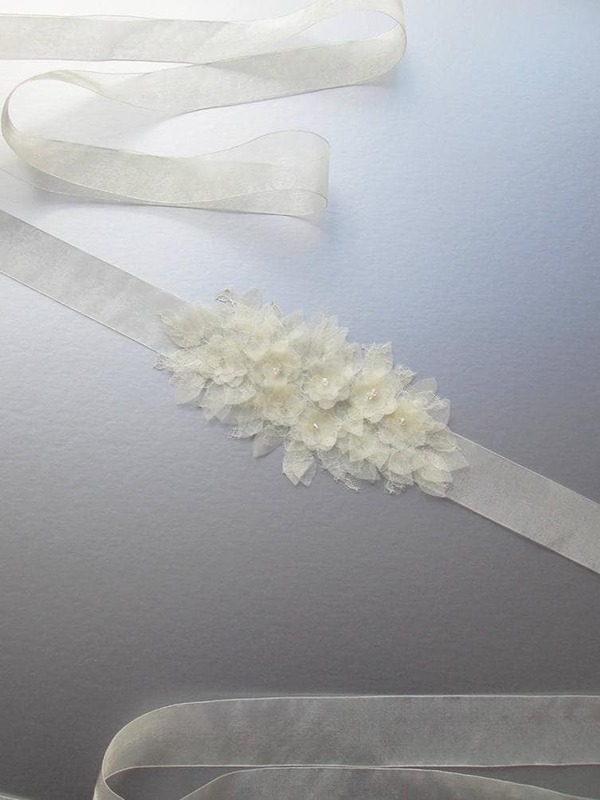 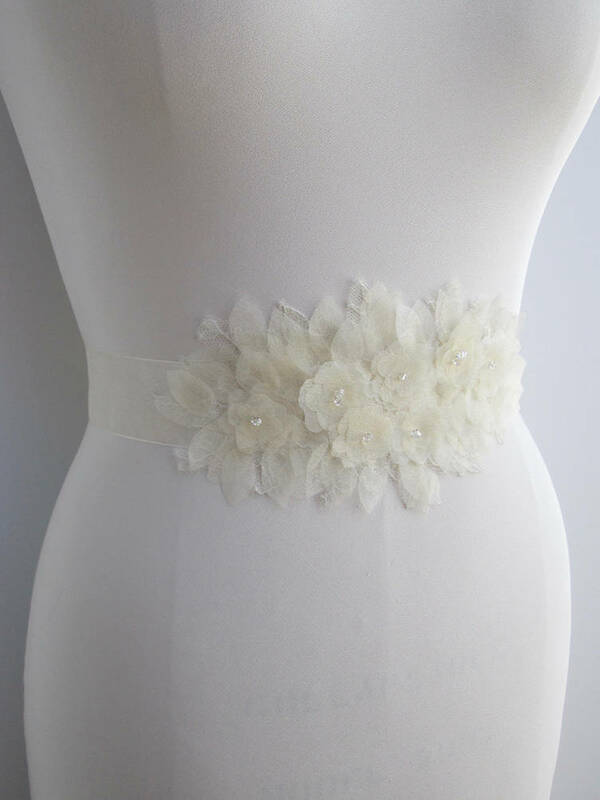 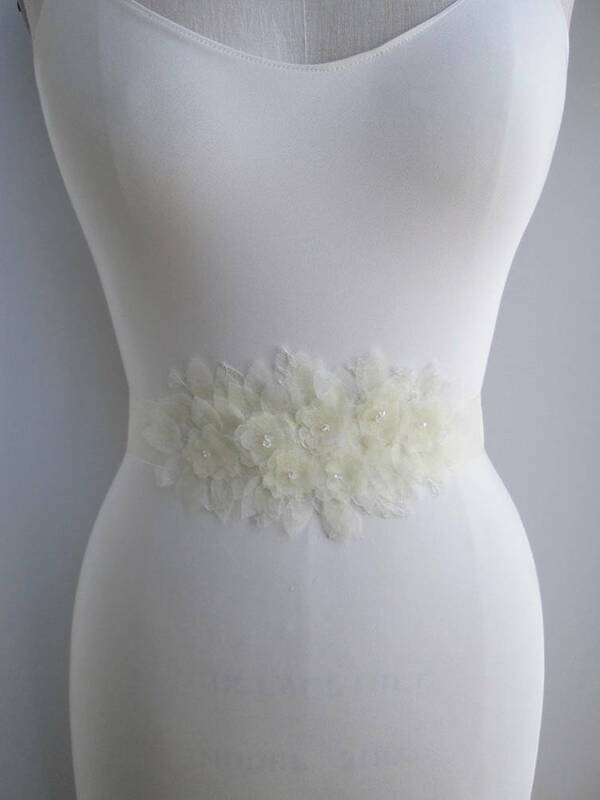 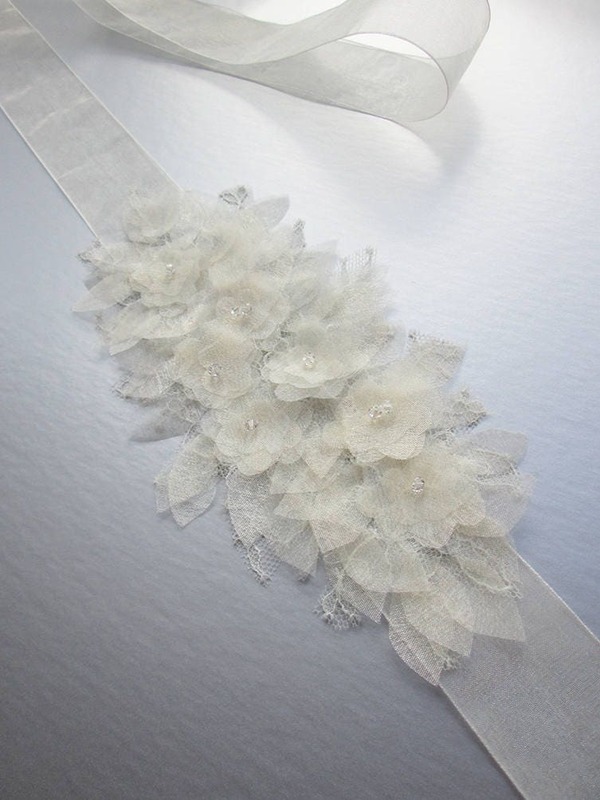 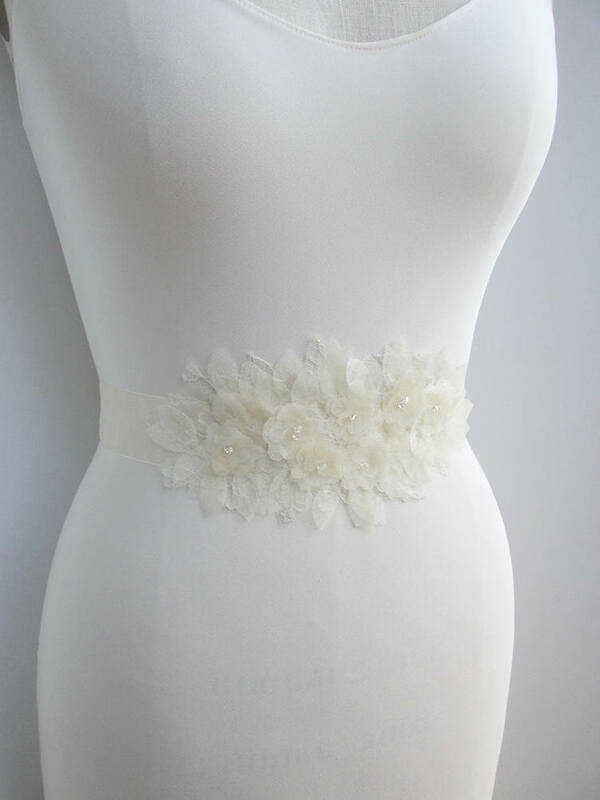 This delicate weightless sash looks beautiful worn with organza, tulle, lace or plain dresses. 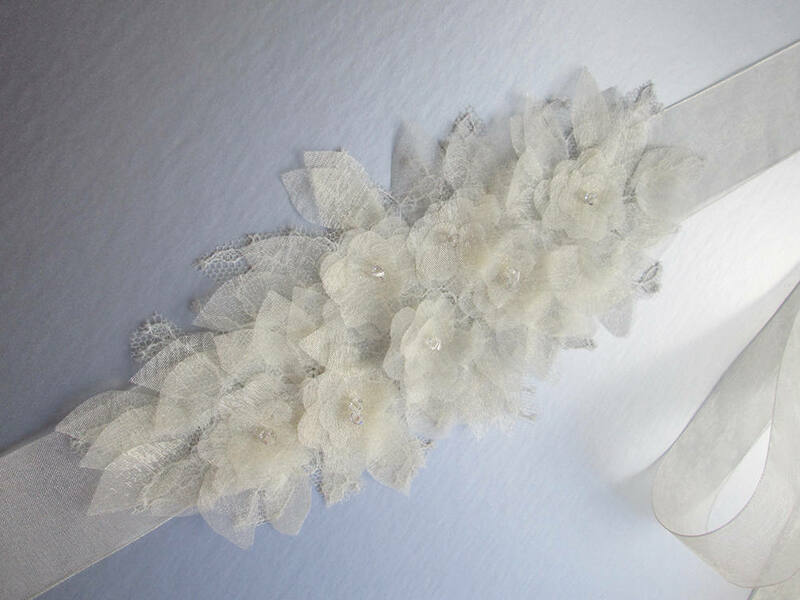 The vintage Chantilly lace used is an ivory color and it is appliquéd with a sheer ivory organza, giving it a magical shimmer. 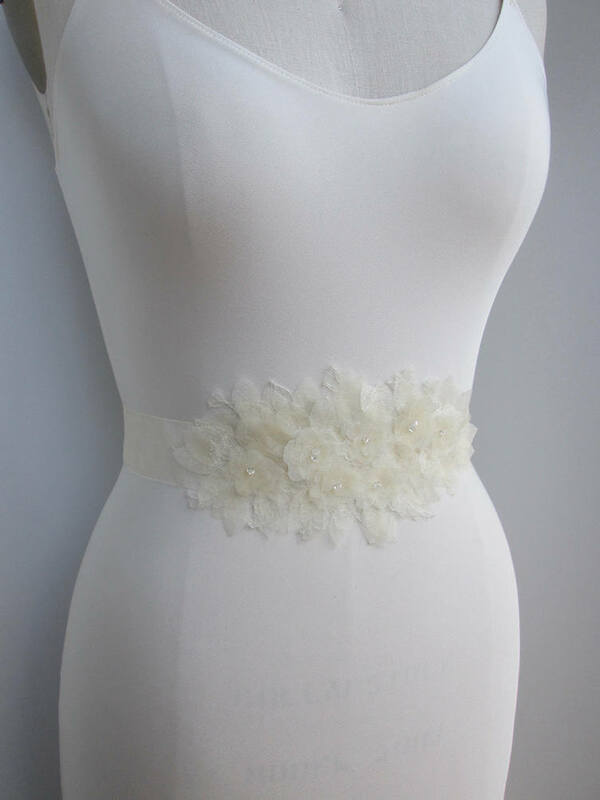 The sash is accented with clear Swarovski crystals and attached to a sheer silver organza ribbon. 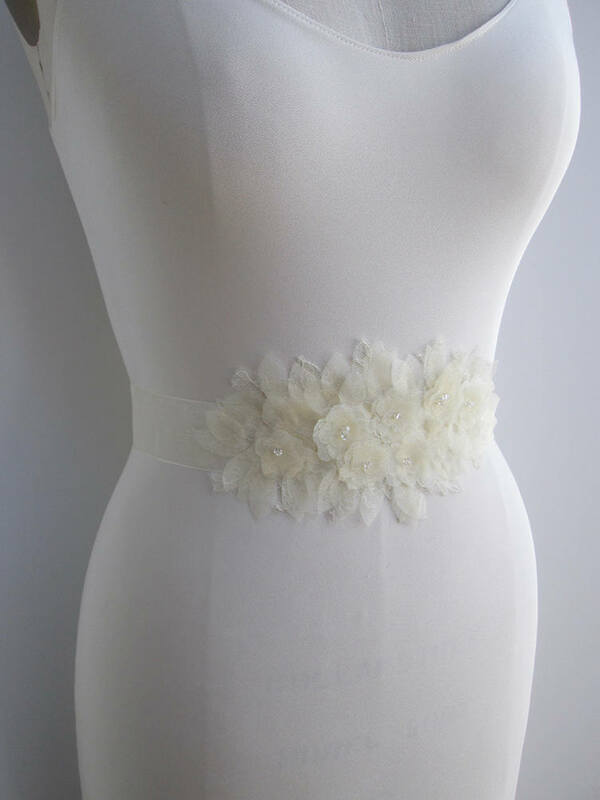 The appliquéd design measures about 8 1/2" long and about 4" wide. 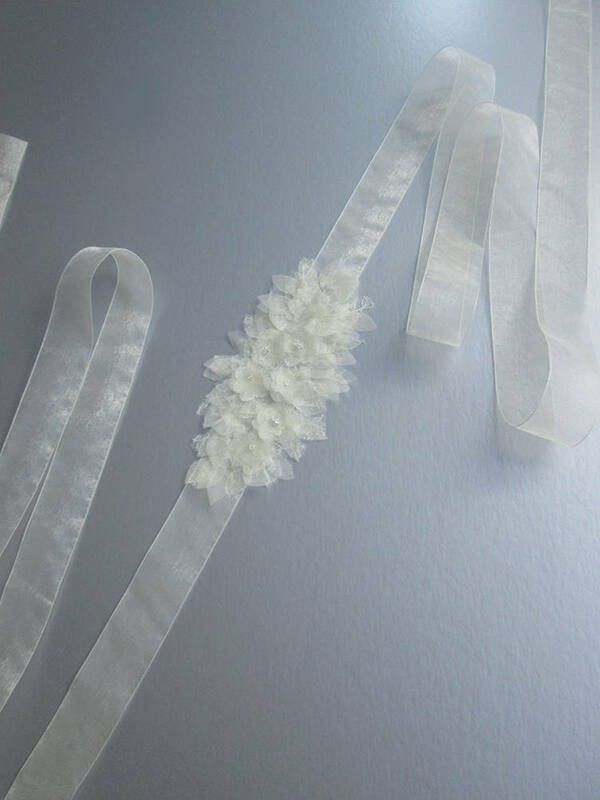 The organza ribbon sash measures 140" long and 1 1/2" wide. 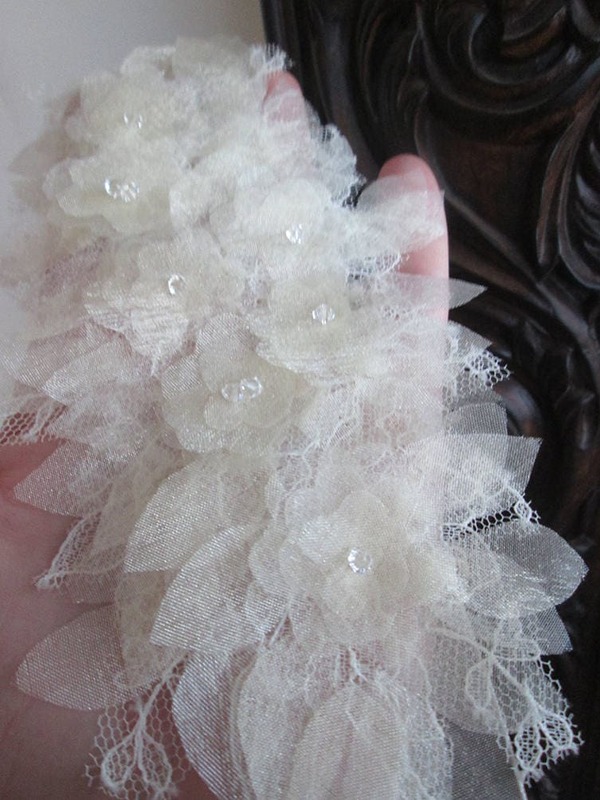 This style is also available with silver, white or pink organza.